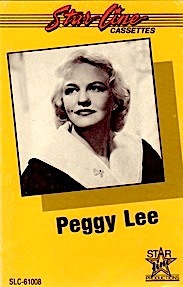 During her music career, Peggy Lee recorded for three radio transcription services: MacGregor (1945; 17 tracks), Capitol (second half of the 1940s; 73 tracks), and World (1955; 49 tracks). All such transcription performances were originally made for syndicated radio broadcast, not for retail. Eventually, however, most of them wounded up in commercial issues (cassettes, LPs, CDs, etc.). 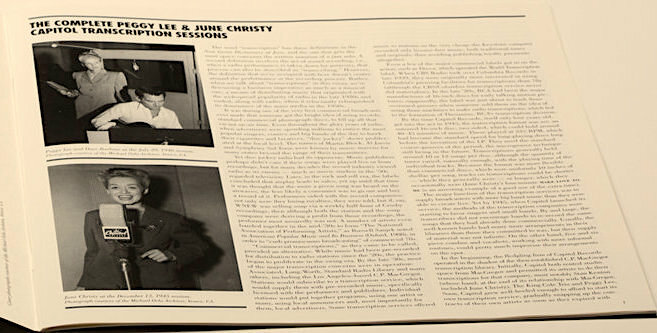 This page separates all relevant issues into three main sections, according to the service for which Lee recorded the featured performances. There is also a fourth section dedicated to "hybrids" -- i.e., releases that combine transcriptions from two or all three services. 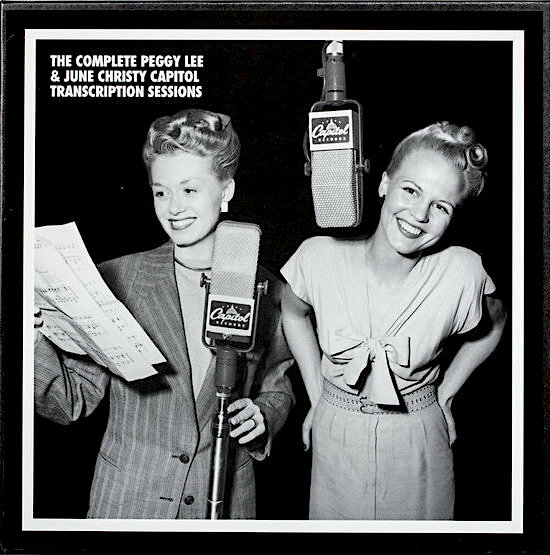 (As for the plethora of Peggy Lee issues that mix radio transcriptions with studio recordings and other types of performances, they can be located in this page, which is specifically reserved for bootleg and Public Domain compilations.) Finally, an index of all the items under scrutiny may be found at the very bottom of this page. 4. 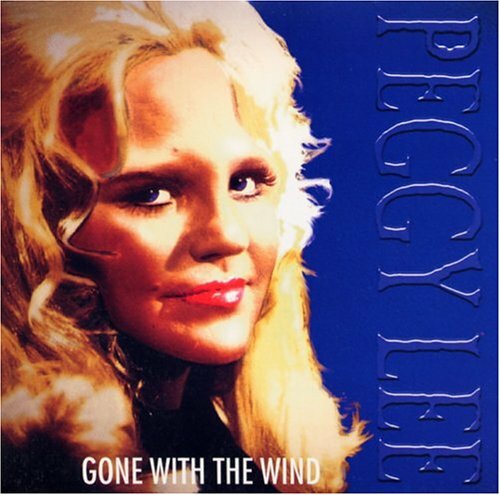 Title: I've Had My Moments / Format: Cs / Label: Starline (Distributor: Legend) / Cat. Num. : Slc 61008 / Rel. Year: 1987 / Tracks: 10 / Note: This cassette contains 10 MacGregor transcriptions. Two of them are not available in the previously listed issues. 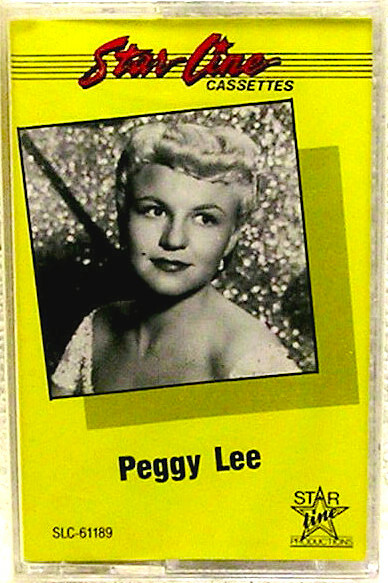 (To be more specific, item #4 contain 14 of the 17 performances that Peggy Lee recorded for the MacGregor transcription service, and this cassette includes 2 more. That leaves out only 1 performance, which has never been commercially released. In other words, that missing performance is available only in the original 16" transcription records that the company sent out to radio stations.) The title of this cassette does not appear in the front cover, but on the spine. 5-6. 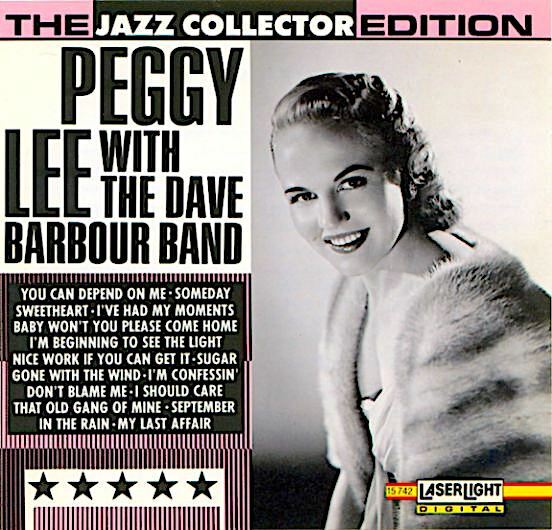 Title: Peggy Lee With The Dave Barbour Band ("The Jazz Collector Edition" Series) / Format: CS & CD / Label: LaserLight - Delta / Cat. Num. : 15742 / Rel. Year: 1991 / Tracks: 14 / Note: A reissue of item #4 above. This CD's general quality, from the artwork to the absence of substantial liner notes, is either wanting or unappealing. Worse yet, the tracks are slightly sped-up. Unfortunately for those of us interested in collecting Lee's MacGregor transcriptions on CD, no better digital option is available. 7-8. 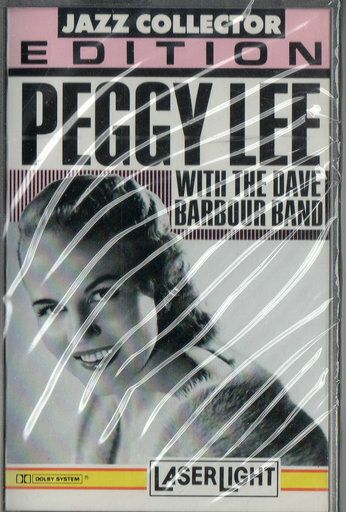 Title: Peggy Lee With The Dave Barbour Band; Nat King Cole Trio 1943-49, The Vocal Sides / Format: CD / Label: Capriole / Cat. Num. : (Germany) Hmr 1009 / Tracks: 14 + 13 = 27 / Rel. Year: 1997 / Note: This CD has apparently come out with two slightly different covers, both of which are shown above. It is a twofer of sorts. 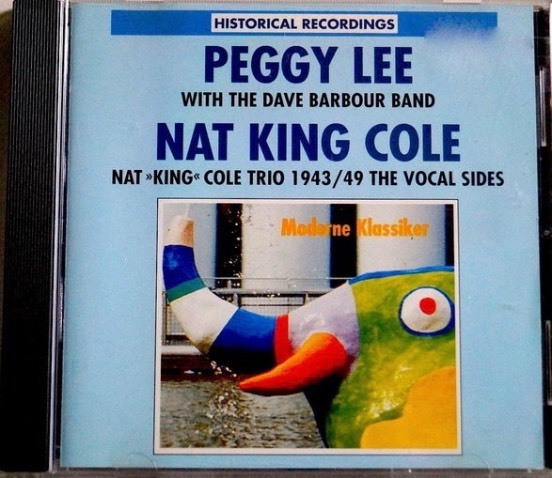 The track contents combine 13 Nat King Cole radio transcriptions with 14 Peggy Lee radio transcriptions. 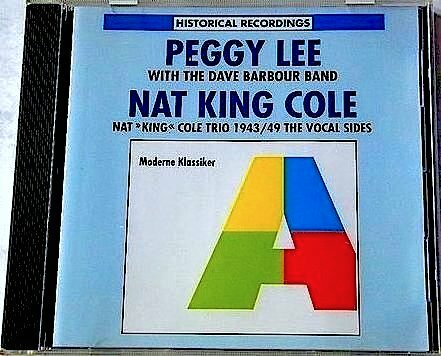 The disc is more precisely a reissue of two CDs that were originally released on the Laserlight label: the 1990 disc Nat King Cole Trio 1943-49 and the aforementioned 1991 Peggy Lee With The Dave Barbour Band (item #6). Capriole took every track from the Lee CD, but just the vocal tracks from the Cole CD. Common to the two labels (i.e., American Laserlight and German Capriole) is their parent company (or distributor? ), Delta. 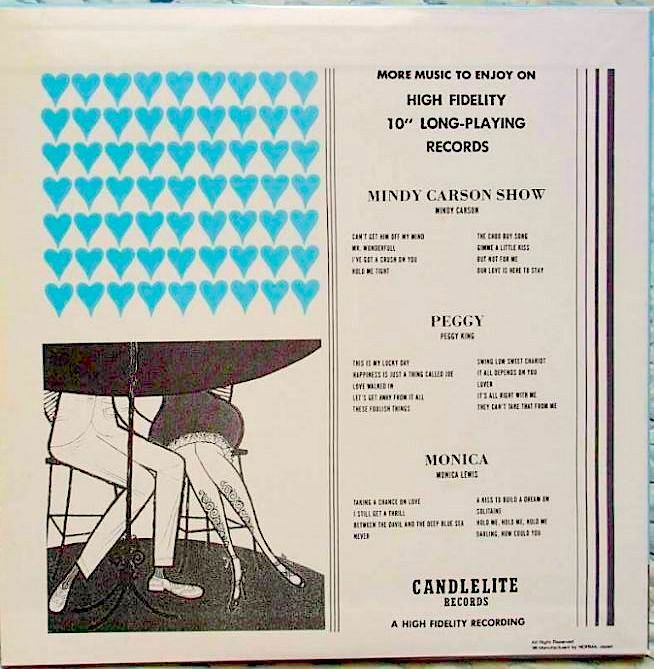 As mentioned during the discussion of the first album above, the label Candlelite is presumed to have released (or to have prepared for release) a 10" LP titled September In The Rain, and an even earlier edition of that same 10" LP could have been issued on MacGregor Records. But, so far, I have not found firm confirmation for the existence of either of these two issues. 1 - 6 . 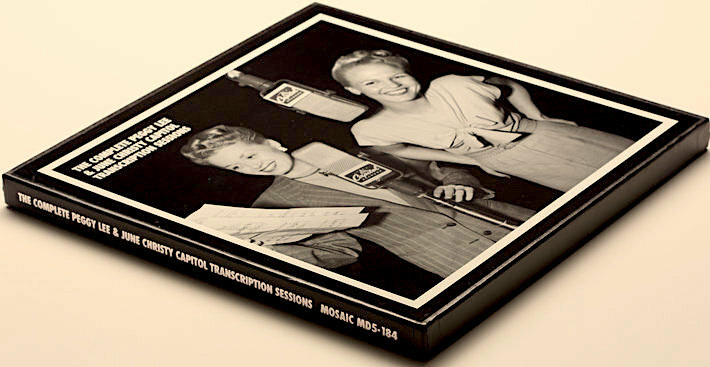 Title: The Complete Peggy Lee & June Christy Capitol Transcription Sessions / Format: CD Box / Label: Mosaic / Cat. Num. : Md5 184 / Rel. 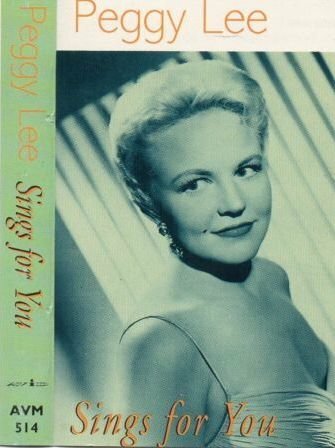 Year: 1998 / Tracks: 72 (sung by Peggy Lee) + 27 (sung by June Christy) = 99 / Disc: 5 (inside 3 jewel cases) / Note: Boasting superior sound quality, this set is also commendable for being almost complete. 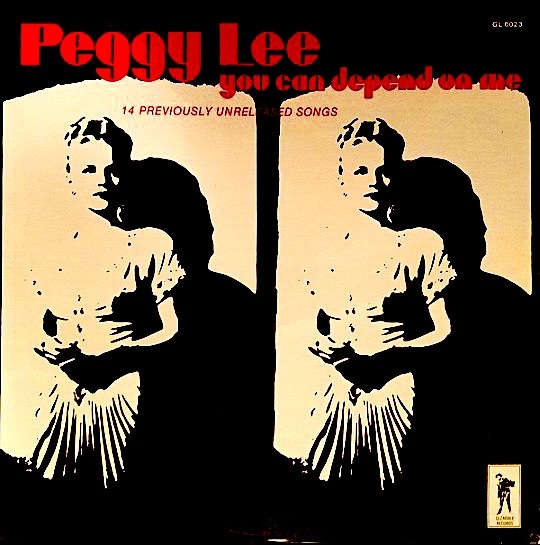 Of Peggy Lee's 73-song output for Capitol's radio transcription service, the only missing track is her self-penned number "I'm In The Mood For Music," which still remains commercially unreleased at the present time. Images #1 and #2 show this boxed set -- its front cover and its lateral sides. (The back cover, not shown herein, is black and blank.) The set's album-size booklet (image #3) consists of 16 pages, including the page shown in image #4. As that page illustrates, this booklet features black & white photos along with an extensive session-by-session essay and detailed discographical information. 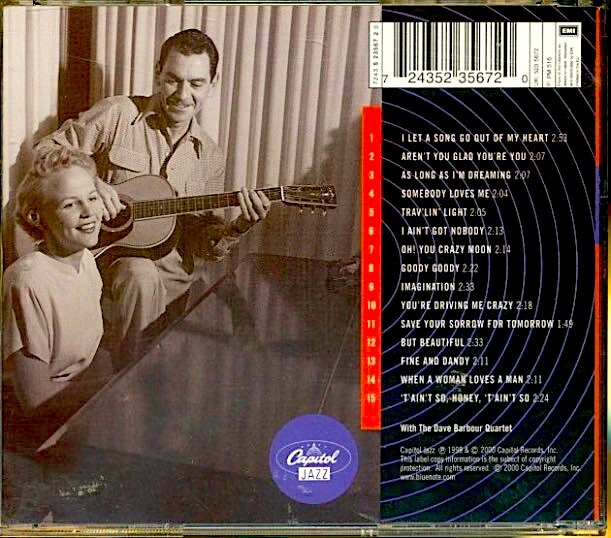 The remaining images spotlight the front and back covers of one of the CD jewel cases (still sealed in these pictures). 7 & 8. Title: Trav'lin' Light / Format: CD / Label: CAPITOL Jazz / Cat. Num. : 7243 5 23567 2 0 / Rel. Year: 1999 / Note: This official sampler contains 15 of the 72 Lee masters that were originally issued in the aforementioned set (images #1 to #6). The sampler's front cover is presented in image #7, its inner tray artwork in the other image. 9. 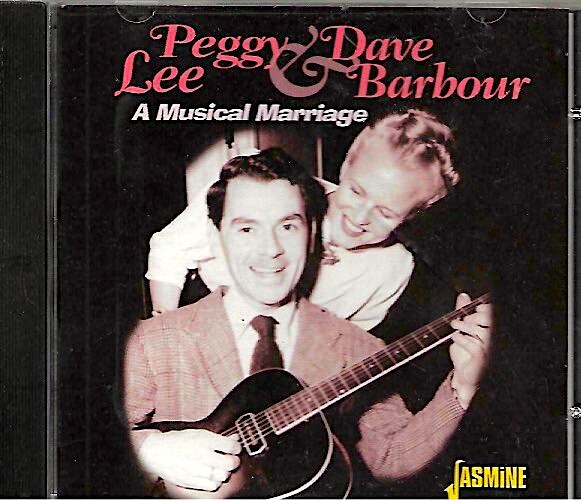 Title: A Musical Marriage; Peggy Lee & Dave Barbour / Format: CD / Label: Jasmine / Cat. Num. : (United Kingdom) Jascd 355 / Rel. 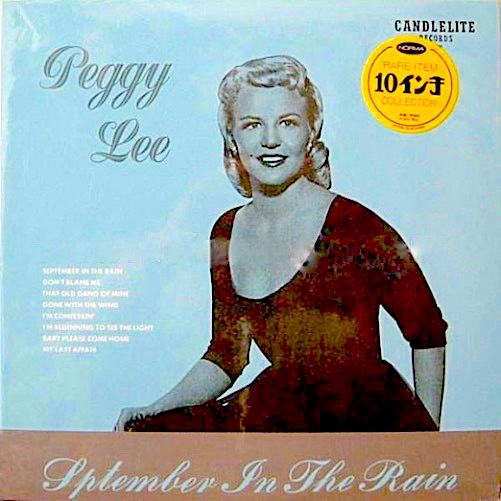 Year: 1999 / Note: Thus unauthorized, Public Domain sampler contains 22 of the 72 Lee masters that were originally issued in the aforementioned set (images #1 to #6). 10. Title: The Complete Capitol Small Group Transcriptions / Format: CD / Label: Disconforme / Cat. Num. : (Spain) Jfcd 22822 / Rel. Year: 2001 (date found in my copy; there might have been an earlier print) / Tracks: 54 / Volumes: 3 / Note: The makers of this issue shamelessly appropriated the bulk of the tracks that Mosaic Records originally issued in 1998 (images #1 to #6 above). Mosaic spent a fortune researching, remastering and paying fees for the release of the original boxed set. Disconforme was, on the other hand, able to swipe Mosaic's work for its own use without having to make any such payments, and without identifying the original releaser. At the very least, the European PD label could have waited for the official box to go out of print. But there was no such (minimal) courtesy on their part: Disconforme put its budget-priced knockoff in the market while there were still many unsold copies of the Mosaic set, thereby grabbing away potential customers. In any case, notice that there are some significant differences between the two issues. 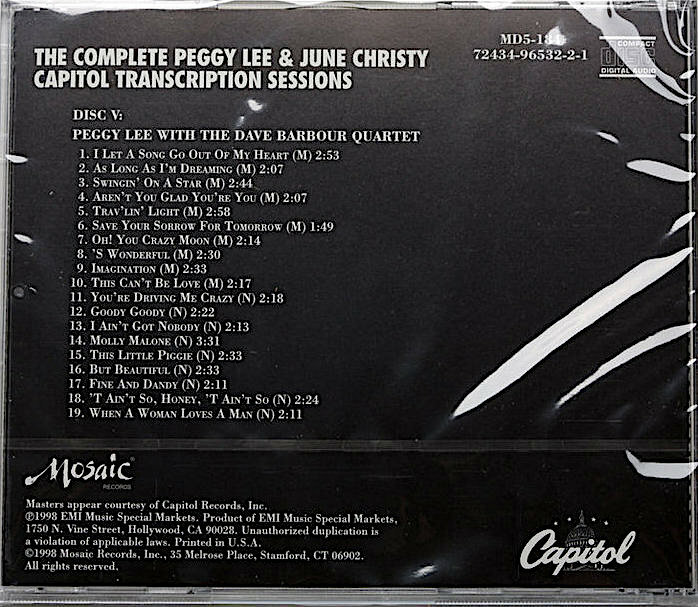 As suggested by the inclusion of the words Small Group in the title, Disconforme's 3 CD set excludes the big band tracks which Lee sang with the Frank DeVol Orchestra. In other words, it contains only numbers with backing by Dave Barbour's combo. Also left out from this Disconforme knock-off were the tracks that are marked in Mosaic's box as "previously unissued" -- probably because their appropriation could have not been justified through the otherwise lax copyright laws in the Andorran region of Spain. 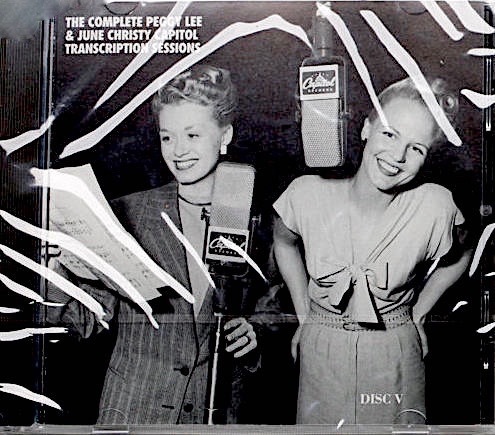 (As for the June Christy numbers found in the Mosaic box, they were also appropriated by Disconforme, and released separately, in another CD). 11. 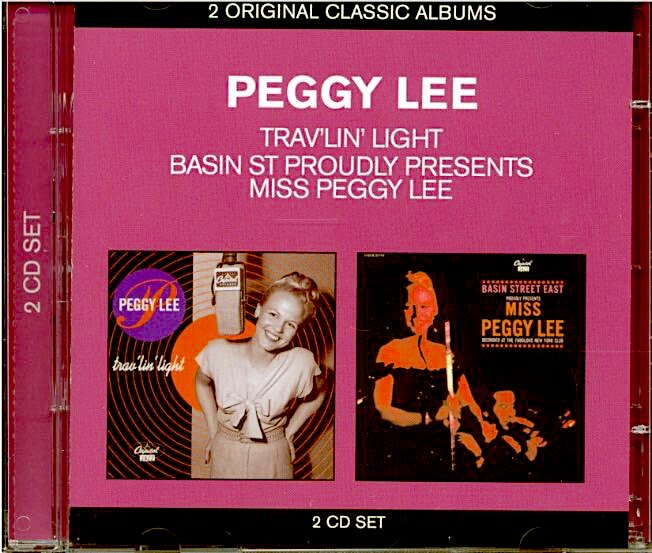 Title: Title: Trav'lin' Light - Basin Street East Proudly Presents Miss Peggy Lee / Format: CD / Label: EMI Gold / Cat. Num. : (United Kingdom) G 704 7302 / Re. 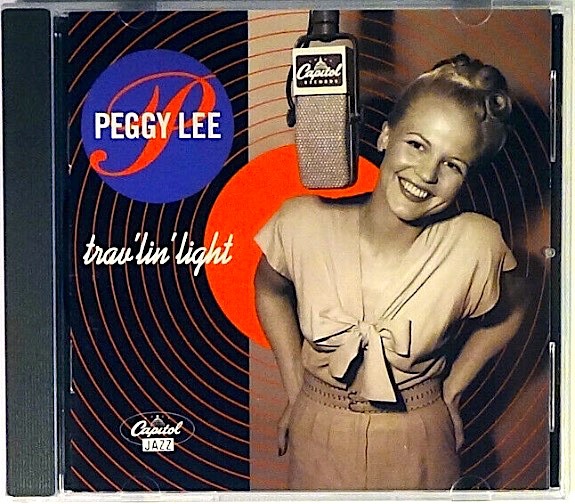 Year: 2012 / Tracks: 26 / Note: A budget item that incongruously mixes Capitol radio transcriptions from the 1940s with live and studio tracks from 1961, Trav'lin' Light / Basin Street East Proudly Presents Miss Peggy Lee was never officially released. Shortly after (or before?) its initial appearance in the United Kingdom, it was withdrawn. Copies can still be located online, most of them from European vendors who had received them before the disc was recalled. 12. Title: Them There Eyes / Format: Cassette / Label: Starline (Distributor: Legend) / Cat. Num. : Slc 61189 / Rel. Year: 1990 / Tracks: 9, all of them also found in item #1 above. 1. 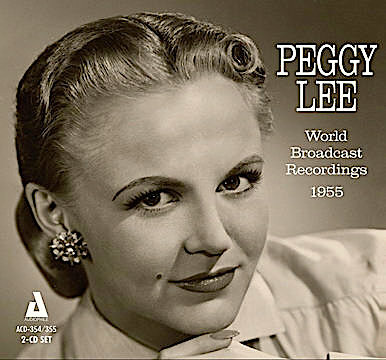 Title: World Broadcast Recordings, 1955 / Format: CD / Discs: 2 / Label: Audiophile / Cat. Num. : Acd 354 & Acd 355 / Rel. 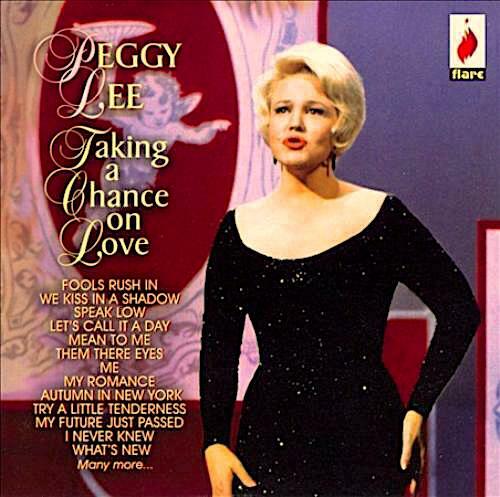 Year: 2017 / Tracks: 49 / Note: Contains Peggy Lee's entire output for the World Transcription Service. As already indicated, item #1 contains Lee's entire World transcription output. The following itemization is provided for the benefit of viewers who might not own that item (yet), and/or who already own some of the other CDs listed in this section. 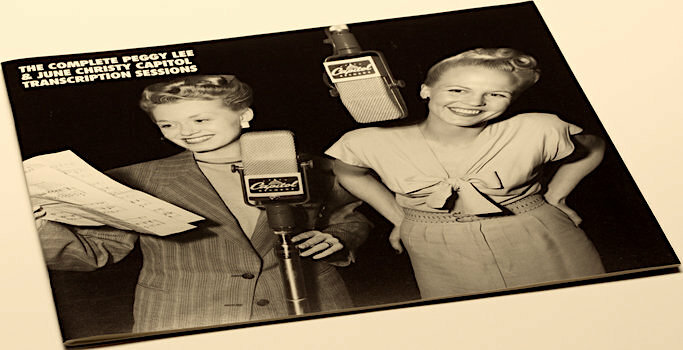 Ownership of items #3 and #4 will supply 41 of the 49 masters that Peggy Lee recorded for the World transcription service. (Unfortunately, the sound quality of both issues is mediocre.) Ownership of item #7 below will add five more numbers to the count, for a total of 46. The three remaining World masters have been commercially issued only on item #1. 8 & 9. 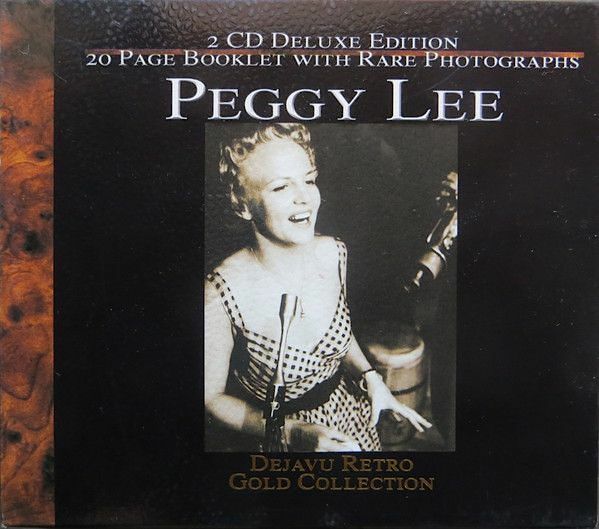 Title: Peggy Lee ("The Gold Collection" Series) & Peggy Lee ("Gold Collection" Series, "Deluxe Edition") / Format: CD / Label: Deja Vu - Retro / Cat. Num. : (EEC) R2cd 94034 / Rel. Year: 1996 [first edition]; 2001 [second edition] / Volumes: 2 / Tracks: 40 / Note: As shown above, this Public Domain set has been issued in two editions. The so-called Deluxe Edition substantially improves on the sound quality of the first edition. Both editions are out of print by now. 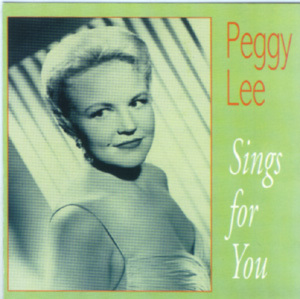 This set includes 18 of the 20 World transcription tracks that were originally released by the Avid label on the CD Peggy Lee Sings For You (item #3 above), as well as 22 other Peggy Lee tracks, taken from other sources, including audio from TV appearances. Listeners wishing to obtain this item are advised to search for the 2001 edition, due to its comparatively better sound. 10. 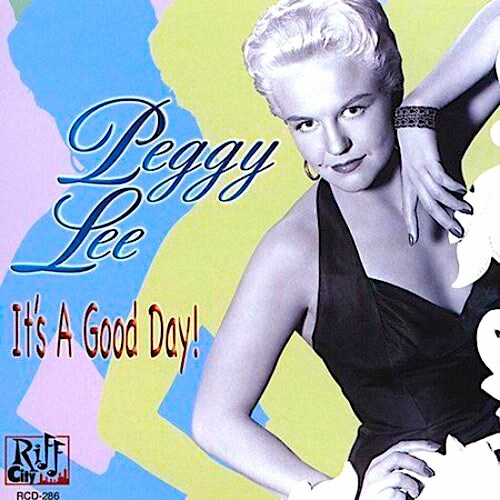 Title: It's A Good Day / Format: CD / Label: Riff City Entertainment / Cat. Num. : Rcd 50 286 / Rel. Year: 2004 / Note: All numbers in this 2004 issue had been previously issued in some of the earlier items listed above (in particular, items #3 and #7). Like those covered in previous sections, the issues itemized herein contain radio transcriptions. However, this section's issues differ from the ones above in that their track listing consists of transcriptions from multiple services, rather than just one service. 1. 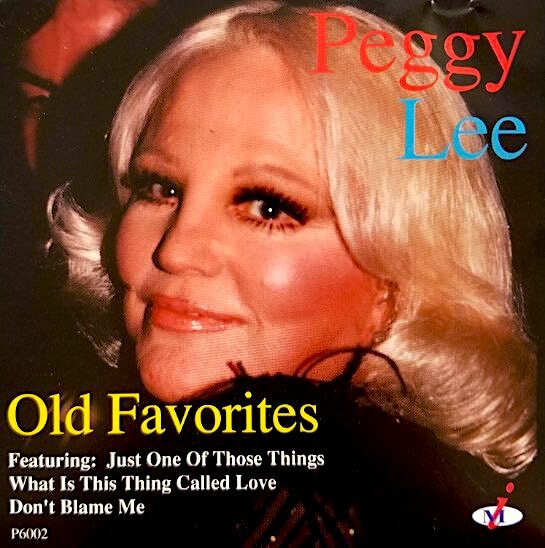 Title: Old Favorites / Format: CS & CD / Label: Music International / Cat. Num. : P 6014 & 6002 / Rel. Year: 1992 / Tracks: 6 MacGregor transcriptions + 4 World transcriptions = 10 / Note: Lists an 11th track, "Night Life," which is nowhere to be found in the CD or the cassette. 4. 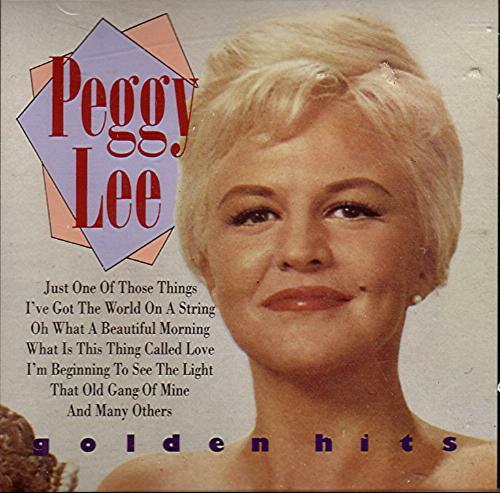 Title: Golden Hits / Format: CS & CD / Label: Masters Music / Cat. Num. : (Netherlands) Ma Cs 61078 4 & Cd 61078 2 / Rel. Year: 1996 / Tracks: 6 MacGregor transcriptions + 5 World transcriptions + 1 radio track taken from the Hindsight album The Uncollected Peggy Lee = 12 / Note: Although 1996 is the earliest date that I have found for this issue, I would not be surprised to eventually discover an earlier pressing. Listed below are the issues whose front covers are shown in this page. The Roman numeral that follows each title indicates the section in which the issue is located. The present page concentrates on issues whose entire track listing consists of radio transcriptions. Issues with more mixed listings will be found in a pictorial page that is currently under construction, and which will focus on Public Domain compilations. Furthermore, this page is exclusively dedicated to material that was recorded for radio syndication. Numbers that Lee sang or taped while guesting at network radio programs are covered in the Radio Broadcasts page.